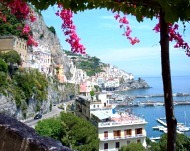 Living in Italy is the quintessential experience of life in paradise. From the Alps to the sun-kissed hill towns of Tuscany, breathtaking beauty surrounds you at every turn. Enjoy a slower pace of life in the land of abundant sunshine and quaint villages. You can live or retire in Italy, to the “Bella Vita” without a massive bank account. ...Where the prices are drastically lower. Here you will discover the best places in Italy for inexpensive housing. This culturally-impressive country has everything from snow-capped mountains to beautiful beaches and an amazing countryside. Bustling cities boast mouth-dropping art and culture in the most unexpected places. Known as the Romance Capital of the World, living in Italy means experiencing fantastic weather and a breathtaking landscape. Would you retire in Italy? Can you imagine living in the land of olive groves and terracotta roofs? It is not as difficult as you think. By searching in smaller towns and cities, you will discover affordable living arrangements within a short train ride to most metropolitan areas. Find out more about retiring in Italy here. Italy is made up of 20 regions--From the cooler areas of the Po Valley in the north to the sultry Mediterranean spots of the south. Living in Italy means knowing where your favorite cities are located. Climate in Italy is a dream come true. Sunlight graces most parts of the country nearly 300 days a year. Winters are mild and summers are temperate, making the decision to live or retire in Italy a healthy one. Choose Northern Italy for skiing and every imaginable winter activity. Head to Southern Italy for a Mediterranean climate and lifestyle. Central Italy boasts mild seasons. Here you enjoy 70's (21°Celcius) for a high in the summer and low 40's (5°Celcius) in the winter. What you will not find in Italy is drastic temperature fluctuations such as found in the Southeastern United States. Get useful information on getting around in Europe and staying safe. Living in Italy means learning the best method for exchanging currency, withdrawing money, and packing for European travel. The train system in Europe is exceptionally well organized. It makes international travel through Europe amazingly simple by assuring tourists get oriented quickly. It is important to remember that many cities have more than one train station. Find out how to get around and what train ticket station windows can do for you. Pocket plenty of extra passport pictures for obtaining visas when crossing borders. And consider hostel accommodations or bed and breakfast inns instead of expensive hotels. You can save a lot of money this way and enjoy the compactness of Europe when living in Italy. Pickpocketing is alive and well in Europe. These petty thieves target American tourists. They are good at taking what is in your purses and fanny packs in the blink of an eye. Wear a money belt when traveling. Store essentials such as passport, driver’s license, credit card, ATM card, money in large denomination, plane ticket, rail pass, and a list of all your important phone numbers and addresses. Most popular cities are easily navigated via buses and trains. The more remote and picturesque towns are not so easy to get to. For these special spots, you are going to need a car. Backpacking is one of the most rewarding and affordable ways to make your own memories. Be open and flexible. Seasoned travelers who backpack through Europe on a regular basis know this well. Sometimes destination opportunities present themselves and you must be willing to take them. Italians run on a different schedule than westerners. There is a complete lack of hurry when living in Italy. The day starts and ends late. Most cafes do not open until eight in the morning or later. There is also a break for lunch that lasts between two and three hours, beginning sometime around 2:00 p.m.
Life in Italy is much more laid back. Here, you work to live...not live to work. You will find Italians eating their dinner between 9:00 and 11:00 p.m. Which means sleeping in is the norm instead of rushing to a job. Italian Festivals are as varied as the landscape. Watch testosterone-induced combatants donned in period costume in Florence as well as the tender religious holidays of Pasqua in Sicily. Find out which dates you want to enjoy (or avoid) when traveling to or living in Italy. Follow these cruise packing tips to avoid ruining your vacation. A pre-departure cruise check list is essential if you want to enjoy your floating holiday. Get more tips here. Learn vital strategies when going on that cruise vacation...Including what you must bring in your carry-on. Here is a List of Emergency Services for United States citizens abroad. Resources include death, arrest, victim of crime, sending money, missing citizen, stolen passport and more. The CBP announces travel advisories and publications, prohibited and restricted goods, travel publications and other needed information. The CDC provides information on worldwide flu threats and recommended vaccination. VSP provides a list of the most recent inspection scores for cruise ships along with outbreak updates. ISTM is committed to the promotion of healthy and safe travel. In cooperation with health care providers and the travel industry, the International Society of Travel Medicine facilitates education, service, and research activities in the field of travel medicine. Italy housing varies, depending on where you live. The same with choosing a retirement location. Some areas tend to be pricey such as Rome and Florence. Yet the larger part of the countryside is incredibly inexpensive. Italy immigration is composed of different factors. It all depends on your length of stay. And whether you plan to come and go, retire or live indefinitely in Italy. Visitors from the U.S. or Canada do not need an Italian Visa for a stay of 90 days or less. If you plan on living in Italy or spending an extended holiday over 90 days, you will need a Schengen Visa. Health care in Italy provides a national health plan with hospital and medical benefits. The romance capital of the world ranks second (just behind France) in the list of countries of quality health services of the World Health Organization. Are you a citizen of Canada or the U.S? You can apply for the plan when you legally reside in Italy. This affords you hospital and medical benefits to you and your dependents. Searching for jobs in Italy to fund your extended vacation or retirement? Then you need a working Visa. This is best attained through the Italian Consulate in your home country. It is the only visa you will need, if your intention is to work while living in Italy. If you plan to retire in Italy, then there is no need for a work visa. Stick to getting your visa and stay permit instead. Take extra passport pictures along for border crossings. Other essential overseas retirement preparations include getting the recommended vaccinations. Most diseases can be avoided with a simple vaccine. When living or retiring in a foreign country, the amount you actually pay in taxes will depend on your circumstances and where you retire. Avoid unexpected surprises by finding out what costs are involved first. Even if you establish residency overseas you still continue to be a citizen of your own country. Even if you are no longer a resident there. Living in Italy is not synonymous with a hefty bank account. You can experience the slow pace of La Dolce Vita...in the land of abundant sunshine and quaint villages...on less than you think.